Gamalon started in Buffalo, New York during the 1960’s, when drummer Ted Reinhardt and guitarist Bruce Brucato began playing music together at age 12. By the 70’s they were joined by Ted’s brother Tom and Rick McGirr to form Rodan, a prog-rock gem of the local music scene. During the Buffalo stop of their first tour of the USA in December 1973, Genesis were quite taken by their opening act already covering their music at a time when virtually no one had heard of them in the States. Rodan folded and the members morphed into Gamalon in the early 80’s, adding George Puleo on lead guitar and Tom Schuman on keyboards. They joined forces with saxophonist Ernie Watts in 1989. Geoffrey Fitzhugh Perry played violin on one album. Tony Scozzaro replaced George Puleo for several years and in the summer of 2004, Nori Bucci stepped in to take his place. Their self-titled debut in 1987 was one of the finest examples of jazz rock fusion. “Project: Activation Earth” with Ernie Watts followed in 1989. “Aerial View” appeared in 1990, quickly followed by “High Contrast” in 1991. Their latest studio album was 1996’s “Held To The Light”, their most mature work to date. 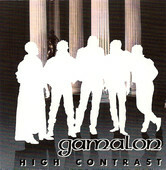 In 2007, Gamalon introduced a new lineup. Joining founding member Ted Reinhardt are Jim Wynne on bass, Bob Accurso on malletKAT, and Dave Schmeidler on guitar. Gamalon has recorded six albums, played shows with Vital Information, Niacin, Gongzilla, Brand X and many others. 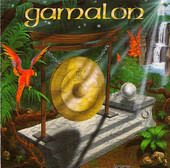 Gamalon also celebrated its 25th anniversary in 2007.